Establishing buyer personas for your business is vital to guide your marketing efforts. This document becomes the starting point towards both segmenting your audience & creating stronger marketing campaigns. 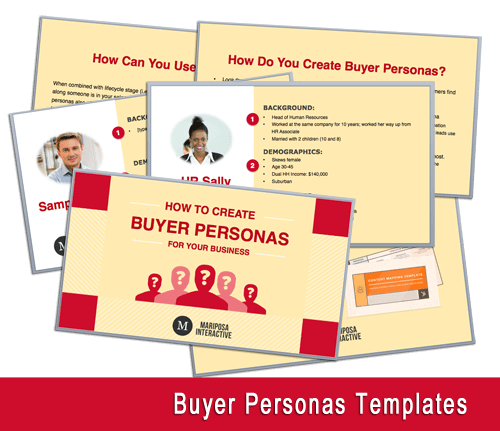 Create your very own buyer personas. Using accepted best practices, for persona research and customer research, with these templates you can create buyer personas that are concise, robust and aligned to your marketing goals -- and professional enough to share with your entire company.